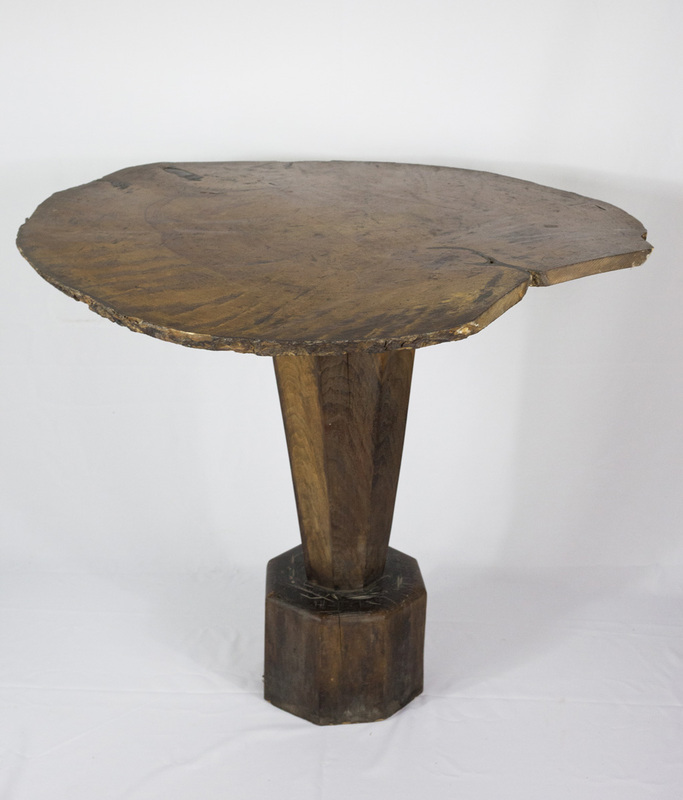 Similar to the kubbestols in this exhibit, the pedestal of this table is made from a single oak tree trunk. The solid piece is finished into an octagonal shape and the top is formed from a large cross-cut section of a tree. Workmen at Little Norway made this table to represent their vision of an authentic Norwegian home. The sawed indentation along the table’s edge and the line that runs to the core appear to have occurred during the manufacture of the piece, and probably fit a later generation’s idealized image of a rustic homestead.